In this tutorial, we are going to build a typing indicator in an Android chat application using Pusher. 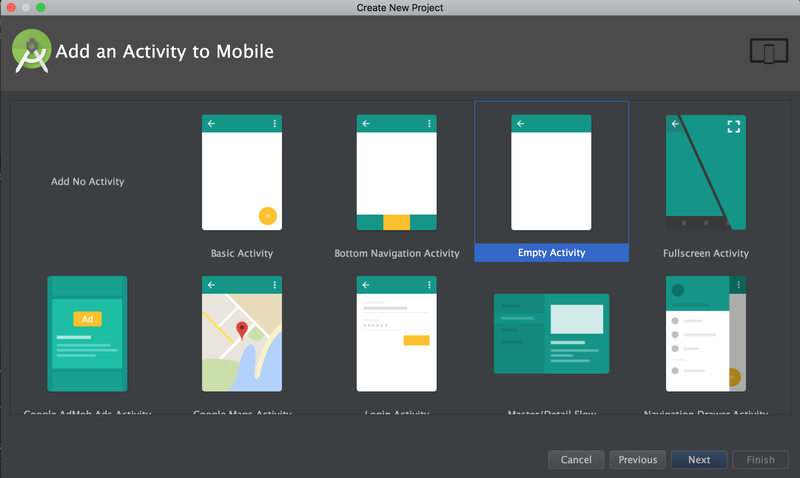 A basic knowledge of how to build Android applications is assumed in this tutorial and we'll be focusing on the implementation of the typing indicator of the Android application. The chat application will be simple. First, we will build a simple Node.js server that will receive requests from Android when a user is typing. The server will then broadcast this to everyone as a Pusher event. Then we will go ahead to build the Android application. 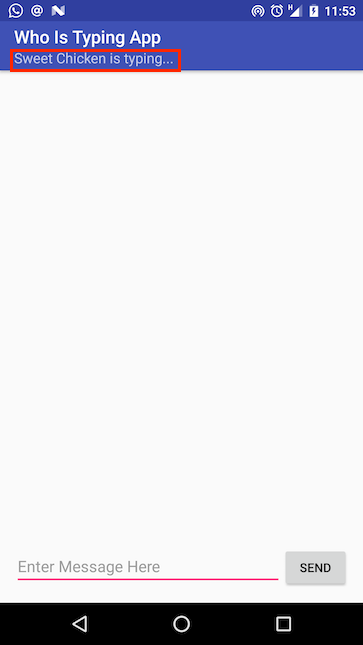 When a user starts typing in the edit text field of the Android app, the app sends a request to the server. The Android app will also subscribe to the typing events from Pusher and show a 'user is typing' message when a broadcast is received. After creating the new app, go to the App Keys tab and copy your App ID, Key, and Secret credentials. We will use them later in the tutorial. Now that you have your Pusher Keys, let's get on with building the chat application server. Express is the web server library that we will be using to accept HTTP requests from the Android app when the user starts typing, and body-parser will be used to parse the incoming requests. The Pusher Node.js library will be used to publish user_typing events through the Pusher API. Set up Express and Pusher. Create routes to listen for web requests. Remember to replace the parameters in the pusherConfig object with the Pusher credentials you copied earlier from the Pusher dashboard. Create a route that uses Pusher to broadcast a user_typing event. This route broadcasts the request's username to everyone who is subscribed to the channel. Start the Express server to listen on the app port 3000. Now we have the application server set up. Next, we develop the Android application users will interact with. You could name the application whatever suits you, but for the purpose of this tutorial, we will name it 'WhoIsTypingApp'. 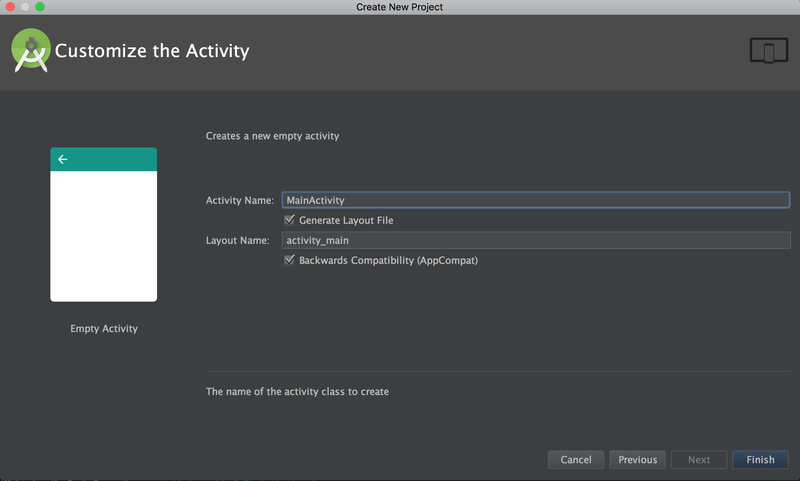 Once Android Studio is done with the project's setup, then it's time to install the project dependencies. We will be using gson to convert JSON messages to Java Objects. 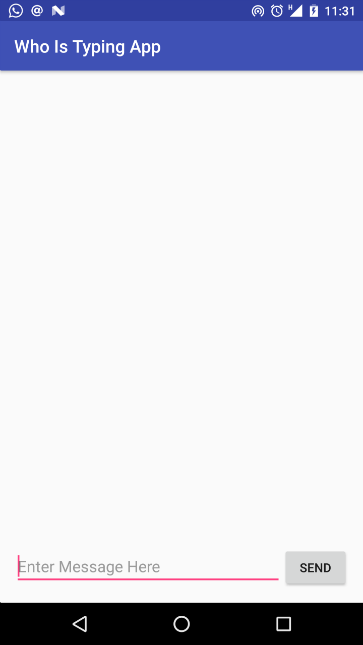 For the network requests to our Node.js Server, we will use okhttp. Next, let's add the INTERNET permission to our AndroidManifest.xml file. 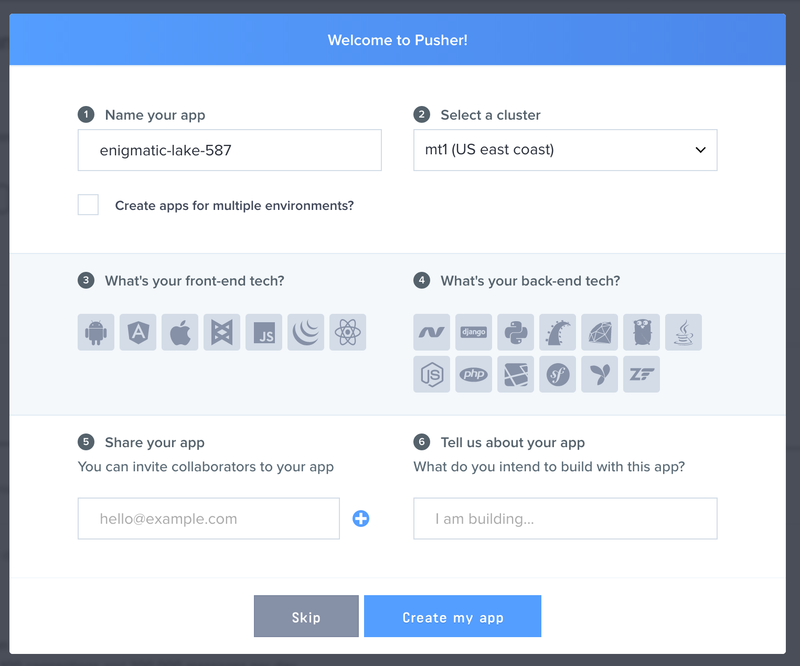 This is required because our application will be connecting to Pusher and our Node.js server over the internet. The layout consists of an EditText where the user can enter a message, and a Button beside it to act as the 'send message' button. Remember to replace the USER_TYPING_ENDPOINT with the actual hostname (or IP address) of the Node.js server (more on this later) and also the PUSHER_API_KEY with the Pusher Key you copied earlier from the Pusher dashboard. First, let's implement publishing the user_typing event to our Node.js server. To do this, we create a TextWatcher inside the onCreate method. Inside the onTextChanged method of the TextWatcher, we build the userIsTypingRequest and then send the request to the USER_TYPING_ENDPOINT URL. For simplicity, we just log the response we get for the server. Then we add the text change listener to the messageEditText as shown below. 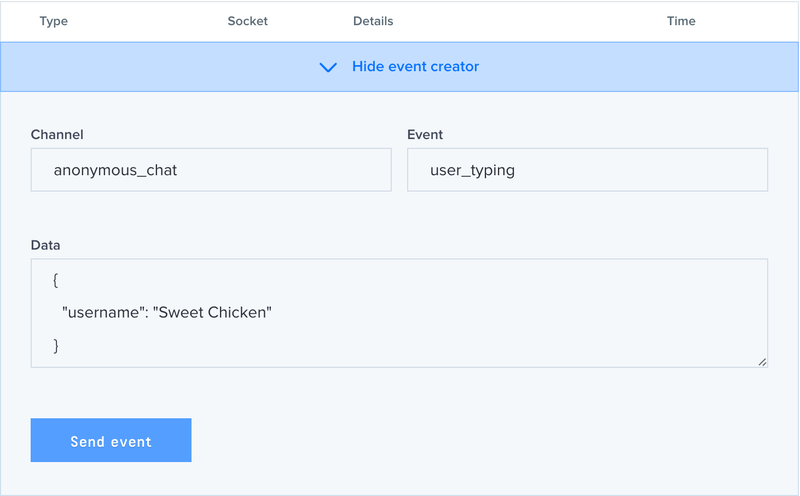 Now, whenever a user starts typing, a request is sent to the server and the server will in turn broadcast the typing event to all other users. Next, we need to subscribe to the user_typing event. Here, the JSON string we receive is converted to a WhosTyping object using gson. Then we check if the username of the WhosTyping object is equal to the current username before we update the UI. The typing indicator message is shown as subtitle text on the Action Bar. The application now updates the UI with the username of 'who's typing'. But the typing indicator message needs to be cleared when the user stops typing or else the message stays forever. An easy solution is to set a timer that clears the typing message after some seconds of not receiving an event. From experience, a clear timer of 0.9 seconds has given the best results. The clearTimerTask will clear the Action Bar's subtitle when it is invoked by the clearTimer after 0.9 seconds. Next, we update the onEvent method of our SubscriptionEventListener to start the clear timer. And there you have it. The chat application now has the functionality to display who's currently typing. Finally, override the onResume() and onPause() methods of MainActivity to connect and disconnect the pusher object respectively. First, ensure you have updated your the PUSHER_API_KEY in the MainActivity class with your Pusher Key. To test the application with the Node.js server, you will need to make the server available to the Android application either by hosting it live or maybe using a tunneling tool like ngrok. Then update the USER_TYPING_ENDPOINT constant in the MainActivity class with the server's URL. 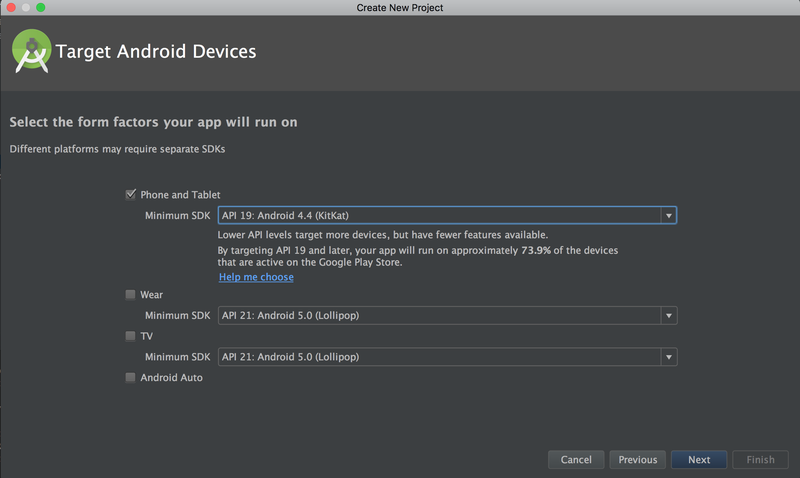 Now to test, you need to run the Android application on two devices. When you start typing in one, you should notice the other device shows that you are currently typing. 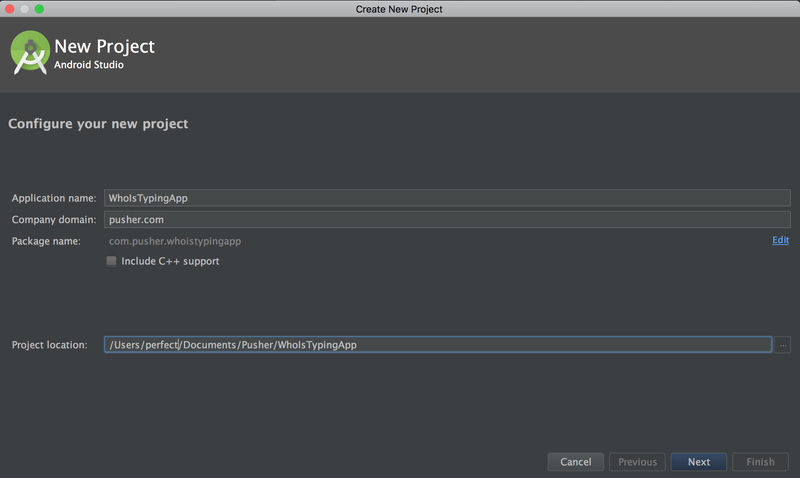 In this tutorial, we saw how to build a typing indicator in an Android app using Pusher.